Mcdonalds coupons are back! Saving is good, saving smart is even better! 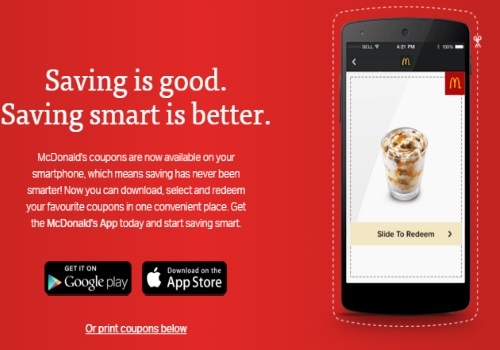 These coupons can be shown on your mobile phone, via the Mcdonalds app or printed at home. Coupons may vary by province so be sure to preview them before going out. Coupons are valid March 8-April 10, 2016 or March 7-April 10, 2016. These coupons typically arrive in the mail as well, so look out for those if you prefer them that way. Click here to get the coupons.